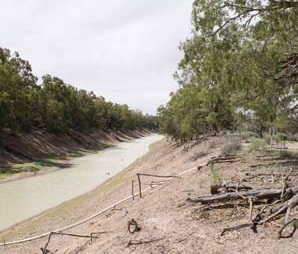 Deputy Prime Minister and Nationals leader Michael McCormack holds the seat of Riverina, which includes Wagga Wagga and significant agricultural communities that rely on Murray-Darling river system. The area is a key site for cotton farming – an industry whose farmers have been accused of illegally taking extra water to boost their operations. With the Murray Darling Basin Plan in jeopardy, Wagga Wagga Mayor Greg Conkey wants Mr McCormack to take action in farmers’ favour. “I'm sure he'll use his influence to push the cause of water in the [Murray-Darling] Basin. It is vital that we get it right,” Mr Conkey told the ABC. NSW Farmers Association's local branch head Alan Brown wants Mr McCormack to “sort out” the Senate and get the Murray-Darling Basin Plan back on track. “It's not a great plan but at least it is a plan,” he said. “We don't need the ongoing angst caused by the Senate. In an address to media after being elected Nationals leader, Mr McCormack acknowledged water security is one of the country’s most pressing issues. “When water rights were challenged in my electorate, I crossed the floor to get a better deal,” Mr McCormack said, in reference to his opposition to the environmentally-friendly terms of the MDBP when it was first proposed.